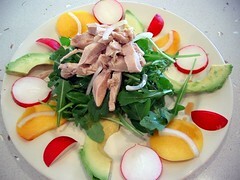 A quick and health Saturday lunch at home. 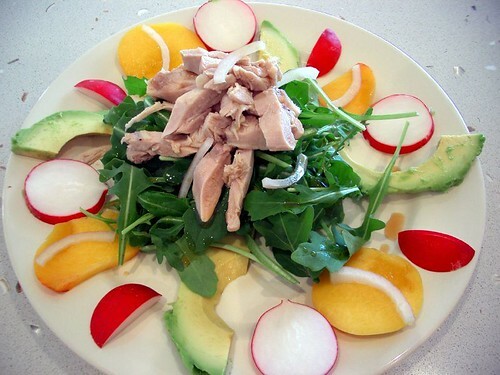 We poached some chicken thigh fillets tossed the rocket in some dressing and decorated th e plate with avocado, peaches and radish. The results were colourful and tasty, as you can see! We used Japanese Aojiso Dressing which gave it a tangy flavour with a hint of Shisho leaves. Here's a close up of the salad.